Happy New Month 🙂 I can’t believe it’s April already! Do they work: Yes they do! 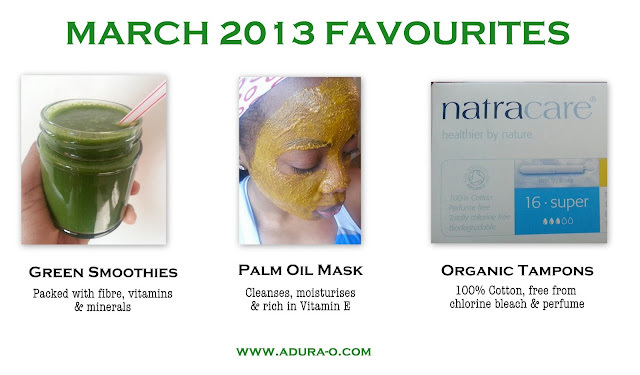 This entry was posted in Currently Loving..., Favourites, Healthy Living on April 1, 2013 by Adura Odesanya. Once I rinsed it off, my skin already felt softer and after moisturising, I wanted to kiss my cheeks… unfortunately that’s not possible! 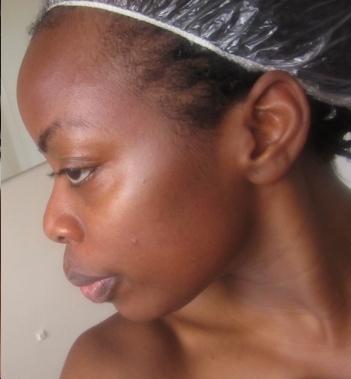 Pimple on my cheek aside, I think it’s ok to say I love my skin! This entry was posted in Currently Loving..., Skincare on February 22, 2012 by Adura Odesanya. 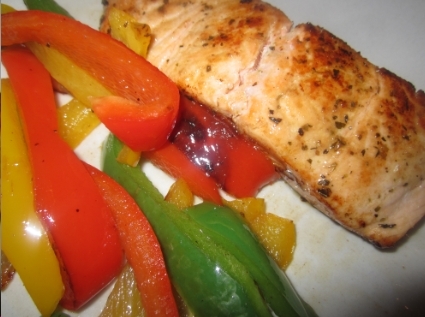 It’s high in omega-3 fatty acids, it’s high in protein and it’s yummy (if cooked well of course). 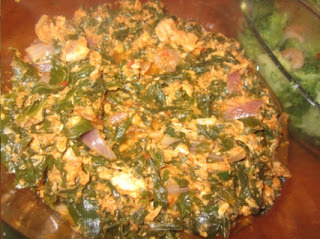 I made pan fried salmon on Sunday (after a long day at Fitter London’s Running Workshop) and a pot of ‘Efo’ on Monday. This entry was posted in Currently Loving..., Eat In, Fish, Healthy Eating on February 14, 2012 by Adura Odesanya. I’m going to make this a regular occurence on my blog, and I intend to make this a video series. I would have started this week but I’m ill and sound like a man at the moment! I’m ashamed to say this but, this time last year, I had no idea what kale was! 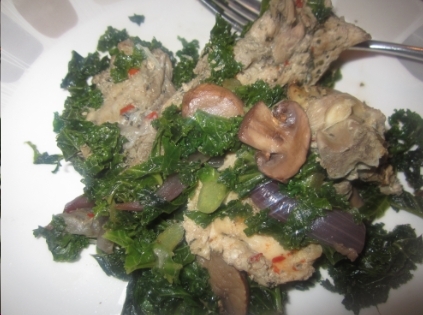 Keris of Fitter London introduced me to kale and some other vegetables, this has helped add variety to my veggie based meals. One cup of kale = 36 calories + many benefits! 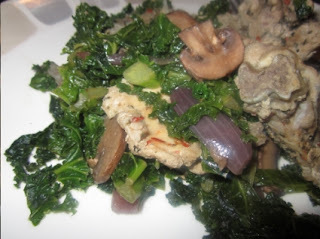 I always try to spice up my veggies, so I added 2 tablespoons of coconut oil to a pan, stir fried the kale for a couple of minutes, added mushrooms and herbs, with a couple of pinches of salt. I allowed to cook for a furhter 3-4 minutes. Then added 1/3 of a cup of (home-made) chicken stock to add some more flavour – done! Do you like kale? What leafy veggies are your faves? Also, if there’s any other thing you’d like to see in my (soon-to-come)videos, please let me know. This entry was posted in Currently Loving..., Healthy Eating on February 2, 2012 by Adura Odesanya. 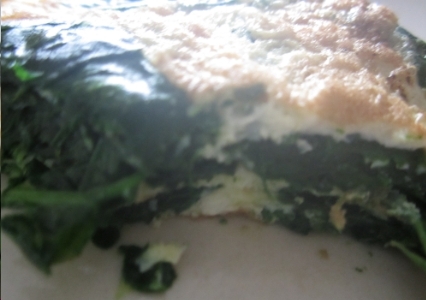 Add as much spinach as you like as heat shrinks it up a little. 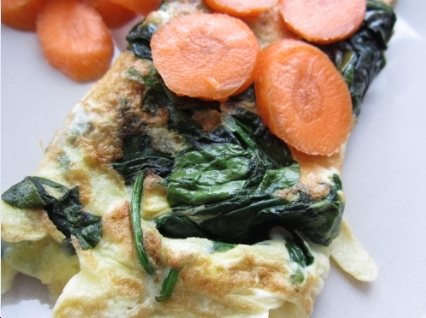 –> Omelette recipe <-- (replaced mixed veg with spinach). 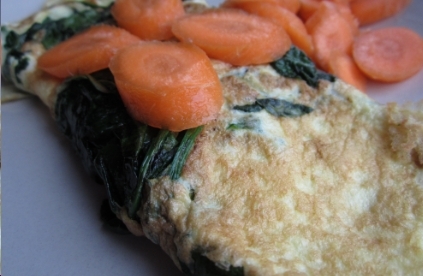 For this I used: 2 organic eggs, 2 handfuls of spinach (this wasn't organic but I washed them in water & a tablespoon of apple cider vinegar), 1 tablespoon f coconut oil and a carrot (to garnish). Look out for a post on Natracare Tampons in the next few weeks, which I finally got today (thanks Keris!) after weeks of leaving it in my amazon shopping basket. Click on the image to read more. 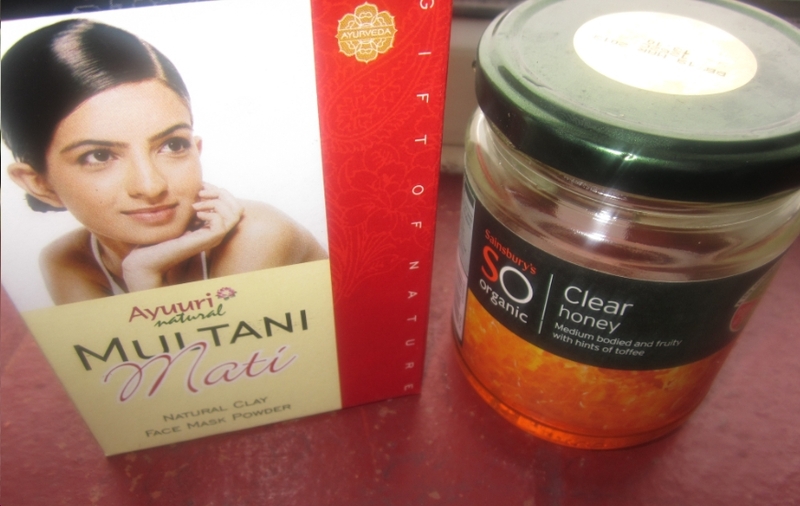 They are organic & natural and chemical & additive free! This entry was posted in Currently Loving..., Healthy Eating, Skincare on January 25, 2012 by Adura Odesanya. Hi! I’m in America for my Christmas/New Year’s break and if I LOVE it here! Yes it’s great to be with family (of course) but I love the range of products and food here… I also love that everything’s a little cheaper here. Don’t get me started on the sales – because I won’t stop! This liquid soap smells yummy and it left my skin feeling clean but not dry 🙂 It’s sulphate and paraben free and I’ll be taking a couple back to London with me. I bought mine at Sprouts Farmer’s Market but it should be available at Whole Foods and Target. It can also be purchased from the Nature’s Gate website HERE. 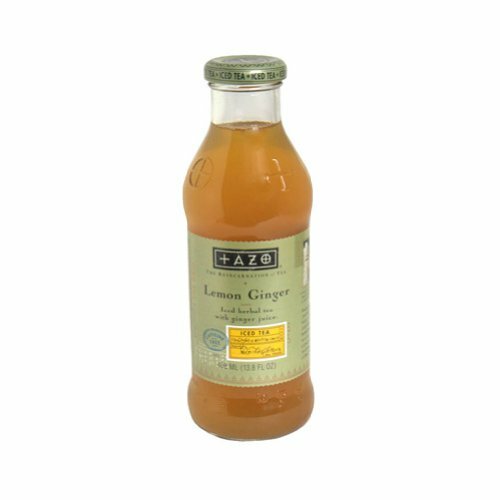 This is a very refreshing drink and it was $1 for a bottle at Sprouts. I wish I could take some back to London with me but it’s in a glass bottle! Hope you are enjoying the festive season and not over indulging 😉 I worked out yesterday and that is so unlike me during the holidays! I’ll attempt another session tomorrow… fingers crossed. 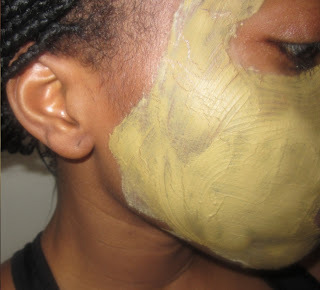 This entry was posted in Currently Loving... on December 21, 2011 by Adura Odesanya.